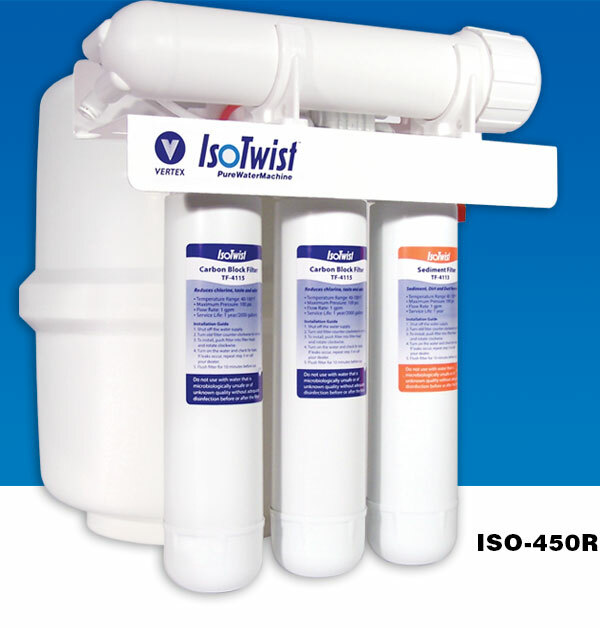 4 or 5-Stage RO with 50-GPD Membrane and proprietary twist-off filters. 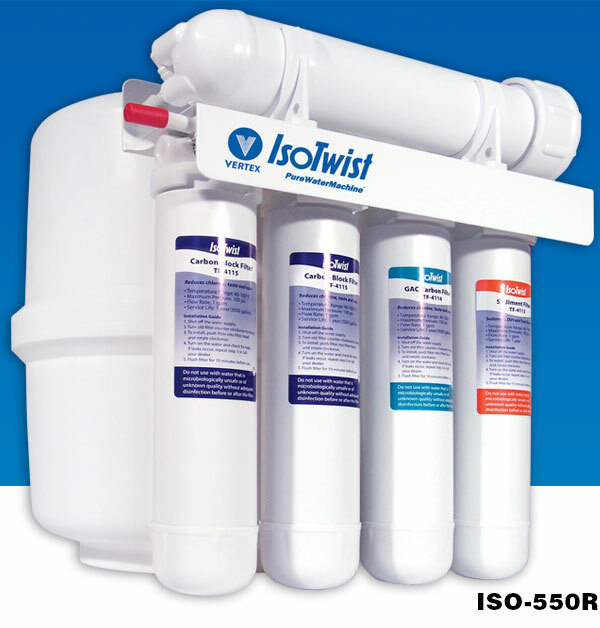 The Vertex IsoTwist is our most advanced undersink Reverse Osmosis filter system optimized to treat city water using the existing water pressure. This model makes up to 50 gallons a day of great tasting water while taking up less space than most other 4 and 5-stage models. The higher production capacity serves larger homes and offices. The easy twist-off disposable filter cartridges and RO membrane assembly are designed to make installation and replacement quick, easy and sanitary. Choose the 5-stage system to ensure water quality, membrane performance and filter life, when the incoming water contains a high amount of sediment as in some well water systems. An extra pre-filter stage is added before the membrane. The 5-stage model can also be used to extend time between filter changes. 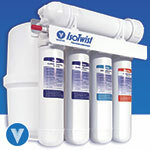 The IsoTwist comes complete and ready to install, with quick connect fittings, 3/8″ tank to faucet tubing, dispensing faucet and instruction manual.